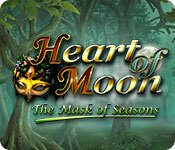 Heart of Moon: The Mask of Seasons is rated 4.2 out of 5 by 46. Rated 5 out of 5 by happygamer1961 from awesome game/ great graphics and also can play untimed read many reviews of this game before I chose it and was very pleased with my choice. The level of challenge is just right not too easy or difficult, haven't played the game long enough to see about the storyline but the game is extremely fun to play. Its right up there with "Plants and Zombies" and thats a really high mark. Would strongly recommend trying this game out--I think you will really like it if given the chance. Rated 5 out of 5 by spirithope from SURPRISE ! ! ! ! ! ! ! ! ! ! I was wishing and wishing Mystika series would come out with more games. Found this and bought it from demo just as soon as I opened it and realized my wish was granted. THANK YOU ! ! ! I have 4 of these games now and have played them all more times than I can count. Later levels are doable with determination. Variation in game play mechanics and power ups keep these games an adventure worth pursuing. Rated 5 out of 5 by PHILIP1969 from Great match three and more in 1 game well made hope there's more!!! Rated 5 out of 5 by Marja67 from Great game! This has to be one of the best. Pretty graphics and music. Relaxing. HOGs and puzzles filling it. Has it all. Rated 5 out of 5 by arnold1049 from THIS GAME HAS EVERYTHING I played the hour demo and immediately purchased it. 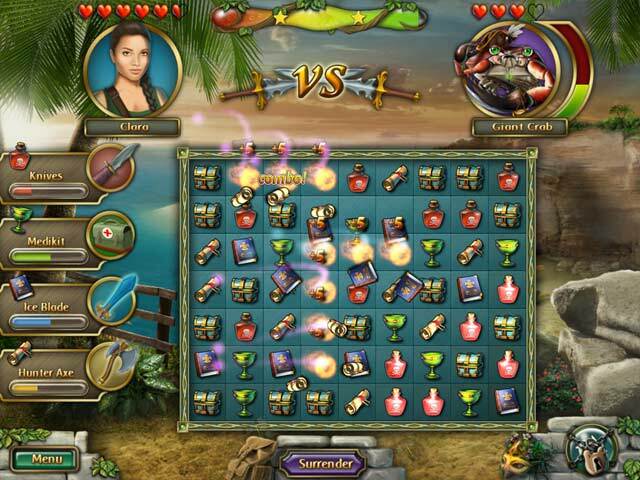 This game combines almost all types, not just match 3. 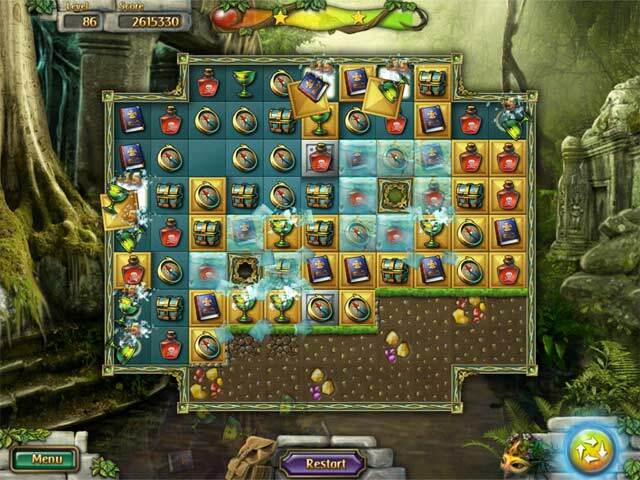 There are hidden object scenes, find the difference, collect items to rebuild buildings, just in the first hour. You will definitely not be bored. 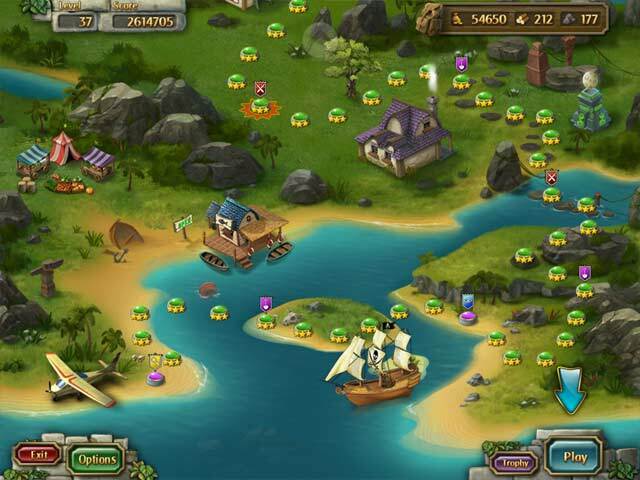 The beautiful tropical island setting is so bright and adds to the pleasure of playing this game. What a great relief from dark games. I highly recommend this game. Rated 5 out of 5 by lswhite369 from Fun But No Challenge To It This game is fun. Challenging-No. I played on untimed mode like most games I do. levels are easy and fast to do. (Except had to use hint in level 125) There's no explanations at beginning of levels to tell you what needs to be done. Level 125 sure needs one. I finally used hint first time ever in any game. Story line ok but really don't make much since to me. The fighting levels was fun. But outcome always same. As with all levels, they are easy to win. If you like match 3 game games without challenge and just to past time this is for you. Rated 5 out of 5 by moodymollyr from One of the best! I recently purchased this game after playing less than 10 minutes of the demo. I LOVE IT! It moves very quickly which I sincerely appreciate as I don't like sitting and waiting for tiles to drop so I can make another play. The only thing that would make it better would be powerups that you can buy to help you out and an explanation of some of the things that act like powerups on the board. The developer is new to me but I love it. My one can't stand is the way the T is made on the phrase "level complete" it looks more like an R and bugs me. I will be watching for other similar games. Since I'm a disabled, retired senior I play a lot of Match 3 games, with a few Solitaire, and Majong tossed in for variety. Rated 5 out of 5 by baaholly from Got it right the first time This is my first Match 3 game. I always do Hidden Object games. Some of them have match 3 mini games, so I thought I'd try this one. What a bargain this game is! It's fun, there are different things to accomplish in various levels, and it goes on and on and on. This is a longgggg game. I don't know if this is the norm for match 3, but I sure liked it. I found it was highly addictive and staying up playing way too late because i couldn't stop. I'm not a kid, I'm 60, and work night shift, so not being able to stop and get some sleep by 3 in the afternoon was bad. And I did this 3 days in a row. SO, I REALLY liked this game. Rated 5 out of 5 by verimeri from Wonderful game I loved everything about this game. Great fun to play and the occasional HO or find the difference scenes were a nice break. The battle challenges were a lot of fun. This is a long game; it has 200 levels. But I could have happily played to 300. As a hint for future players, those matches of four are important. Especially in one level, I think it was 137 the only way to beat it is by making four matches in the center chamber. I can definitely see me replaying this game and I sure am hoping for a sequel.